Panama is a co-working and office space in Hamilton. Panama was set to open their third location and had a ton of new residents moving in across their three Hamilton locations. 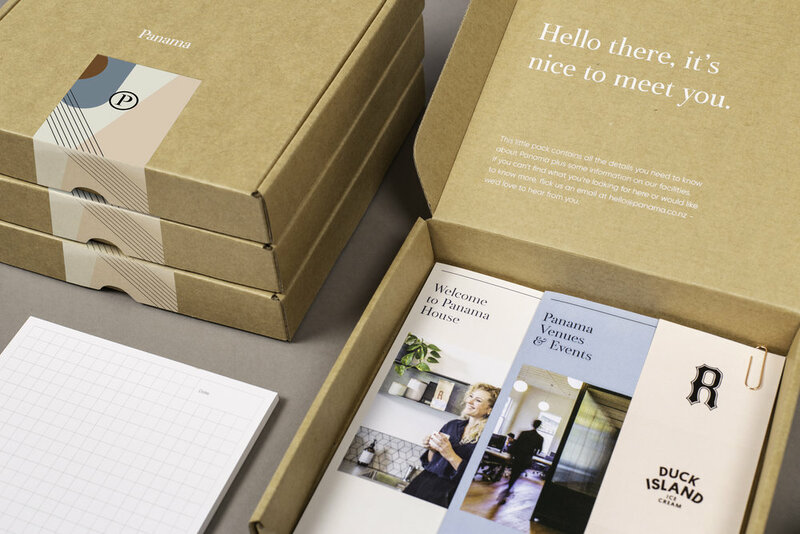 We worked with Panama to design a ‘welcome pack’ for each new resident that included a residents welcome note, event space brochure and a few freebies. These pieces of collateral along with a pen, notepad and chocolate bar were contained in a screenprinted kraft box and delivered to each resident on arrival.